Beautiful, sweet and loving Fonteyn was humanely euthanized because of a severe abscess behind her eye. She had recently been adopted by Jessica, a SaveABunny volunteer and her husband, Ryan. They deeply loved Fonteyn and gave her a wonderful life with them, though it was cut short. Our hearts go out to Jessica and Ryan, as well as our gratitude for the love an dcare they gave to precious Fonteyn. Hi. My name is Fonteyn. I am named after Dame Margot Fonteyn de Arias, DBE, the British prima ballerina assoluta, who was considered by many to be the greatest English ballerina, and one of the greatest dancers of the 20th Century. Marcy at SaveABunny gave me this special name because she recognizes my true nature of beauty, joy and the exquisite freedom of dance and self-expression. It's true. I really long to feel the playfulness and grace of being a bunny. You see, I am recovering from extreme neglect that left me emaciated, filthy and with painful abscesses and sores all over my feet and body. Please don't look away. My story is important. 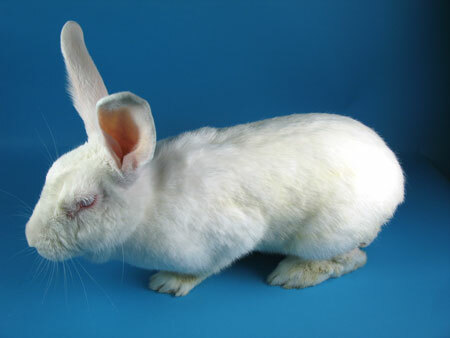 I am doing Ok now, but rabbits everywhere still need your help to keep them cruelty and harm. While my story is sad, it also shows how different organizations with caring people can work together to make a difference. San Francisco Animal Care and Control and Dr. Bing Dilts gave me refuge and the emergency medical care I really needed. The San Francisco SPCA made a generous donation to help with my medical expenses and SaveABunny is providing me with a safe and loving place to heal both physically and emotionally. If you would like to make a donation towards my care and that of the other bunnies in need at SaveABunny, we would be very grateful for your compassion and generosity. That is how a volunteer run group like SaveABunny can continue to help deserving rabbits, like me.